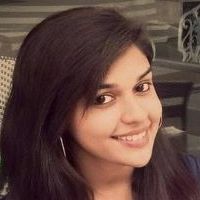 Check out the most updated and latest information about Eisha Singh's on the Internet.We have 132 videos of Eisha Singh including interviews, events, or public appearances.Eisha Singh has over 121 Fans registered on India-Forums.com. We have 241 Television News articles related to Eisha Singh.Do share your criticism, comments and feedback for the Actor on Eisha Singh's comments page. We have over 7 Photos of Eisha Singh to view and download including Eisha Singh's Wallpapers. Happy Birthday Eisha. Your are such a cutie pie. Wish you all the happiness and loads of love. You are so talented and such a great human being. Always keep smiling and stay blessed. Eisha thanks for the wonderful performance. Truly enjoying the show and the writing. So new and refreshing..
Eisha your awesome. Continue the good work. Such exciting story...I hope your character continue to fight for the rights of women. Beautiful!! what an amazing job!! Thanks for keeping us entertained. Great Job on the mahaepisode. Eisha Singh your offscreen chemistry with Adnan is killing it! You guys are such a treat! Eisha Singh loved your original answers with Adnan Khan on the glitzvisionusa segment. Keep rocking Zara with kabir in Ishq Subhan Allah. Eisha you are amazingly talented. Keep rocking as Zara!!! Love you.